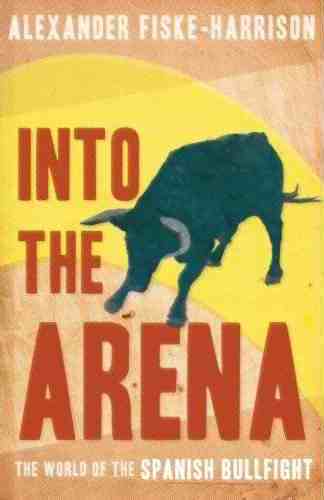 It has just been announced that my book, Into The Arena: The World Of The Spanish Bullfight has been promoted from the longlist for the world’s richest sports writing prize, the William Hill Sports Book Of The Year Award 2011, onto the six-strong short list. Padilla appears first in the book in chapter 2, introduced to me by his and my friend, the politicó and amateur bullfighter Adolfo Suárez Illana (son of Spain’s first democratic prime minister). Padilla is chapter three when I spend twenty hours with him training, drinking and dancing, and he is present in chapter four when I first enter the ring myself. He really is chapter six when I see him fight for the first time, and he saves my skin in chapter seven when I enter the ring again. P.S. The book has had great reviews (see next post, ‘Welcome’), and can be purchased at half price from Amazon UK here, or at all major British bookshops. With the late addition of a book which was not on the longlist, but has been included as William Hill failed to include it in the books to be selected from despite qualifying. This entry was posted in Books, Bullfighting and tagged 32 Programmes, Adolfo Suárez, Alexander Fiske-Harrison, Among The Fans, Ashes to the Arrows, bantam, Bill Jones, book prize, british, bullfight, bullfighter, bullfighting, cayetano, Cayetano Rivera, Dave Roberts, David Millar, davila miura, eduardo davila, Engage, english, Fall and Rise of David Millar, Fall and Rise of Matt Hampson, Fiske-Harrison, fuerzapadilla, Ghost Runner, into the arena, Juan José Padilla, Life Too Short, literary award, literary prize, mainstream, matador, matt hampson, miura, ordonez, orio, Padilla, Patrick Collins, Paul Kimmage, Racing Through The Dark, Rivera Ordoñez, robert enke, Ronald Reng, short-list, shortlist, sim and schuster, simon & schuster, Spain, Spanish, sports book, sports book of the year, sports writing, suarez illana, toreador, torero, Tragedy of Robert Enke, Tragedy of the Man They Couldn't Stop, william hill, Wisden, World Of The Spanish, Year of Watching the Watchers, yellow jersey by fiskeharrison. Bookmark the permalink.